Welcome To Guitar Hall, India’s First, Foremost and Finest Professional Guitar Training Classes and Guitar Shops in Mumbai. 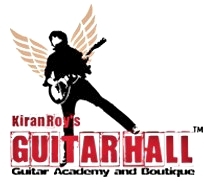 Guitar Hall, founded on 1998 by virtuoso lead guitarist Kiran Roy, is an intensive, contemporary and professional guitar training academy providing guitar lessons in the form of totally ground-breaking programs & training modules covering all levels of experience and expertise. The Guitar Hall Programs, with its range of study options, top-class instructors, and state-of-the-art facilities, are programs that could only be offered at Guitar Hall. To the Mumbai music audience, Guitar Hall occupies a place of prominience,in the mind, by virtue of its training, location and services, endearing itself to its students. Headquartered in the heart of Chembur, in a strategic business location and conspicuous position, Guitar Hall continues to be the place every music lover and professionals alike gravitates to. From Top notch training, highly skilled teachers to having a wide spectrum of guitars for sale at their boutique, Guitar Hall has evolved in a decade into a one-stop hub for the guitar oriented, be it the beginner-student, the tutors or the guitar virtuoso. Sometimes, a little history can help you understand the present day, and in the case of Guitar Hall, our history is crucial to understanding why we have gained such a reputation for quality and excellence over the years and why hundreds of students attend our courses every year! When Guitar Hall was found,it was the time of the self taught guitar players and private teachers who used to train from their homes like what Kiran Roy himself used to do earlier.Young aspiring guitarists from Mumbai, Pune and neighboring cities were searching for a professional academy to release their musical goals and Guitar Hall put them on the right track.The students also accepted Guitar Hall’s teaching methods and relaxed setting whole heartedly.Training was simple then.Just Kiran Roy, an acoustic guitar,a few notation sheets and a pencil! 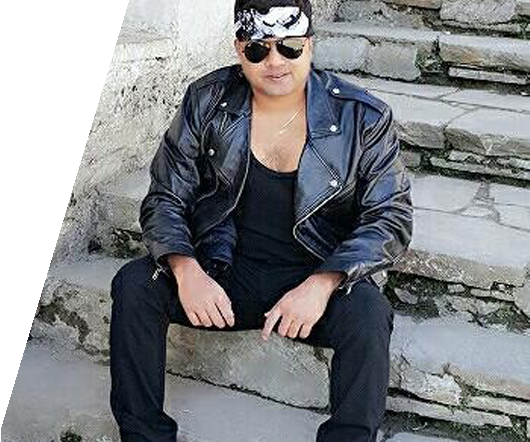 Kiran Roy a budding ace guitarist all of 18 years of age used to perform at Rock concerts regularly with his band. Taking notice of his outstanding guitar playing abilities a few college students approached him to train them. Initially Kiran Roy refused saying that he himself is learning guitars and that how can he possibly train others but they persisted and soon Kiran Roy had to relent. This went on for a year and Kiran Roy began practicing his guitars rebelliously along with teaching his students and his playing just got better. It so happened that soon Kiran Roy’s band participated in the IIT Powai Mood Indigo Battle of Bands competition and he won the best Lead Guitarist Award competing amongst 44 Rock bands from all over India!What followed was an unprecedented tsunami of students lining at his residence to get trained under him! Seeing that it would be impossible to train so many students at his residence he started his efforts in this direction by setting up his first professional music academy in Chembur in the summer of 1998 and named it Guitar Hall which offered a trendy chilled-out place along with top noth guitar training which Kiran Roy personally used to deliver.Professional music education was imparted amidst a very serene and relaxed setting and this place soon started attracting students of all age groups not only from the city but far corners of the country.Guitar Hall has grown to today’s magnitude and still incorporates the same traditions and the values set forth by this visionary. Kindly take an appointment before dropping down.